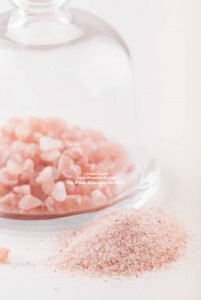 Himalayan Pink Salt – What is all the hype about? During the past few years, Himalayan pink salt has become the talk of the culinary world. We have all been hearing about this amazing salt, from health benefits to superiority in quality and flavour to even the many new kitchenware applications of these salt rocks (the salt griddles, salt plates, salt slabs…etc). First thing is first: What exactly is Himalayan Pink Salt? Himalayan salt is rock salt from the Punjab region of Pakistan, specifically from Khewra. While it does come from the nearby foothills of the Himalayan mountains, it is falsely referred to as being from the Himalayas. With that said, it is now widely known as Himalayan salt. Himalayan salt is mostly mined at the Khewra Salt Mine in Khewra, Jhelum District, Punjab, which is situated in the foothills of the Salt Range hill system in the Punjab province of the Pakistan Indo-Gangetic Plain. It is located about 310 km (190 mi) from the Himalayas, 260 km (160 mi) from Lahore, and 298 km (185 mi) from Amritsar, India. About 200 million years ago, the Earth held many crystallized sea salt beds covered with lava. A concentration of which happens to be in the Himalayan areas. 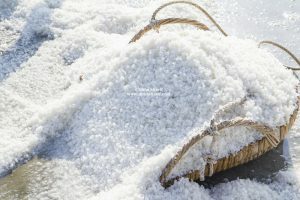 Because this salt was subsequently enveloped in snow and ice for millennia, it was protected from modern day pollution and preserved in an untouched, pristine environment. A point worth noting as this fact makes this salt the purest form of salt on earth. The concentration of salt near Khewra, Punjab is believed to have been discovered around 326 BC when the troops led by Alexander the Great stopped to rest there and noticed their horses licking the salty rocks. According to Hermann Maurer’s article in Global Geography Organisation’s site, salt was probably mined there from that time, but the first records of mining are from the Janjua people in the 1200s. Chemically speaking, the pink Himalayan salt is similar to table salt. It contains up to 85.62% sodium chloride. However, the remainder of the salt is made up of other trace minerals, including (but in no means limited to): sulphate, potassium, magnesium, calcium, bicarbonate, borate, bromide, strontium, and fluoride. 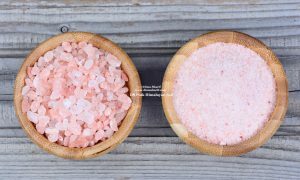 The presence of these minerals are the reason behind it’s pink to reddish hue and also explains why Himalayan salt tastes different to regular table salt. While still a better choice than table salt, sea salt is becoming increasingly processed. That is besides the fact that our oceans are becoming more and more polluted each year. Because of the pristine conditions that Himalayan salt has naturally been kept in, it very well is the purest salt available today. The processing of commercial table salt completely stripps it of the majority of its minerals with the exception of sodium and chloride. The salt is then bleached, cleaned with chemicals, and heated at extremely high temperatures. Do note that the iodine added to table salt is almost always synthetic, which is difficult for our bodies to absorb properly. Most worthy of mention here is the fact that table salt is treated with anti-caking agents, which prevent the salt from dissolving in water and clumping in the salt container. These same agents then prevent the salt from being absorbed properly into our own bodies, which leads to its buildup and deposit within our organs, which can really cause severe health problems. Studies have shown that for each gram of table salt consumed, which the body cannot process, your body will use 20 TIMES the amount of cellular water to neutralize the sodium chloride present in this chemically treated salt. This is largely the reason why salt has gotten such a bad name over the years. It is not necessarily salt that is unhealthy for us, but rather, refined table salt. Aside from that, many of us are consuming way too much processed food. These foods contain astronomical amounts of salt, and it isn’t the good kind. It’s not about limiting our intake of salt; it’s about consuming more natural, homemade, whole foods. This way we can add salt while cooking or sprinkle some on our meals without having to worry about high blood pressure and so on. This actually begs me to point out the health benefits of consuming salt. 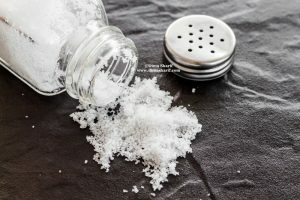 Why do we actually need to consume salt? Additionally, recent research has suggested that eating salt can reduce the risk of infection and kill harmful bacteria. One study on animals has also led researchers to infer that salt may act as an antidepressant. It is even said to support libido, reduce the signs of aging and detoxify the body from heavy metals. Finally, it is essential to know that not all Himalayan Salt is edible salt. It is therefore essential that you purchase food-grade Himalayan salt and source your salt from a trusted source. I have taken note, and have been using only this Himalayan Pink Salt at home for my home cooking, and I have also been using only this salt in the making of my MOONEH products which I supply you and the food market & outlets here in the UAE. Furthermore, and to make it even more accessible to you I have also included this food grade, pure Himalayan pink salt as a product in my Organic MOONEH range, which you can purchase in our online store on this link along with a variety of other seasonings, spices, condiments and products which we deliver to your doorstep. Take a look and I look forward to having you try our products soon.